More than 2 million barrels of oil equivalent (boe) have been added to the reserves estimates for the Ross and Blake fields. London-listed RockRose acquired its 30.82% interests in the two assets through its acquisition of Idemitsu Petroleum UK in 2017. Operated by Repsol Sinopec Resources UK (RSRUK), the fields lie about 70 miles north-east of Aberdeen and produce via the Bleo Holm vessel. Last year, RockRose commissioned a report to determine whether Bleo Holm needed to be replaced, or could be kept going for longer. 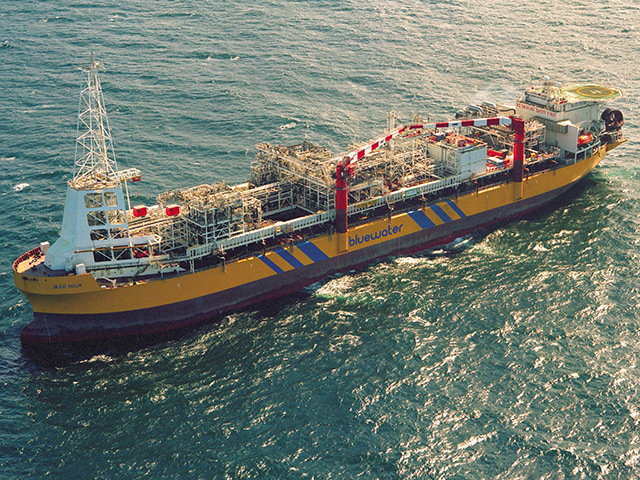 The vessel is owned by Dutch firm Bluewater and was installed in 1999. Westhill-based i3 Energy hopes to use the vessel to handle production from the Liberator field in the outer Moray Firth. The Idemitsu transaction also handed RockRose 50% of the nearby Tain satellite discovery, also operated by RSRUK. RockRose said the partners intended to complete the field development plan (FDP) by the end of 2019. Tain would add 6.1m boe to RockRose’s portfolio. Meanwhile, the Arran development is progressing to schedule with first gas planned for the first quarter of 2021, providing net reserves of 8.6m boe. RockRose owns 30.43% of Arran, having purchased stakes from Dana Petroleum and Zennor Petroleum last year. Shell recently took over as operator of the project and intends to tie the field back to its Shearwater platform in the central North Sea. And following maintenance work, the Dana-operated F02a Hanze oil field – 20.0% owned by RockRose – has returned to full production. RockRose shares had risen 10.85% to £7.15 by 11am. RockRose executive chairman Andrew Austin said: “The extension of field life at Ross and Blake, supporting the Tain development, further grows the group’s 2P reserve base, demonstrating the impact of our continued investment in organic growth. As a result, the company today holds 2P+2C of at least 50.9m boe in the portfolio. “In addition, the programme of infill drilling in the Netherlands has already yielded positive results and lengthens our production profile. The development of Arran remains on track with capex commitments being funded entirely from cashflow. “The life of the majority of our assets continue to be extended, however we are successfully and efficiently progressing active decommissioning programmes where necessary in conjunction with our partners.